Did you know that over half of all Americans have some form of gum disease? From gingivitis to its more advance stages, this common problem can wreak havoc on your mouth. Bad breath, gum recession, and tooth loss all happen as a result of gum disease, so it’s important to know what to look out for so you can prevent and treat it when it’s in the early stages. In this post, your premier dentist in Temple explains the signs and symptoms of gums disease. Learn more on how we can keep your smile healthy from Dr. Richard Fossum. Dr. Fossum explains that there are three stages of gum disease: gingivitis, periodontitis, and advanced periodontitis. Although some of the symptoms overlap, the signs tend to develop in a progressive nature. What Are The Symptoms Of Advanced Periodontitis? How Can Dr. Fossum Treat My Gum Disease? No matter what stage of this oral condition you’re in, we provide the highest quality gum disease treatment in Temple, and we have options to take care of your smile. Brush gently for two minutes, twice a day. 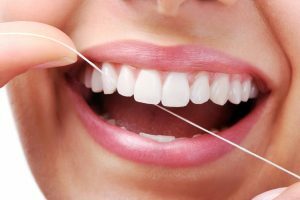 Increase your flossing to twice a day. See Dr. Fossum at least twice a year. Prioritize your oral hygiene if you have a family history of gum disease. Stay in shape since people at a healthier body weight have less rates of this condition. Limit sugar to keep oral bacteria at bay. Stop smoking and discontinue tobacco use. Don’t ignore bleeding gums – this is a serious issue that should be addressed as quickly as possible. Now that you know what symptoms to be aware of when it comes to gum disease, schedule your appointment with Dr. Richard Fossum today to prevent this condition with regular preventive care!